This is why after 35 years, I still love my job. 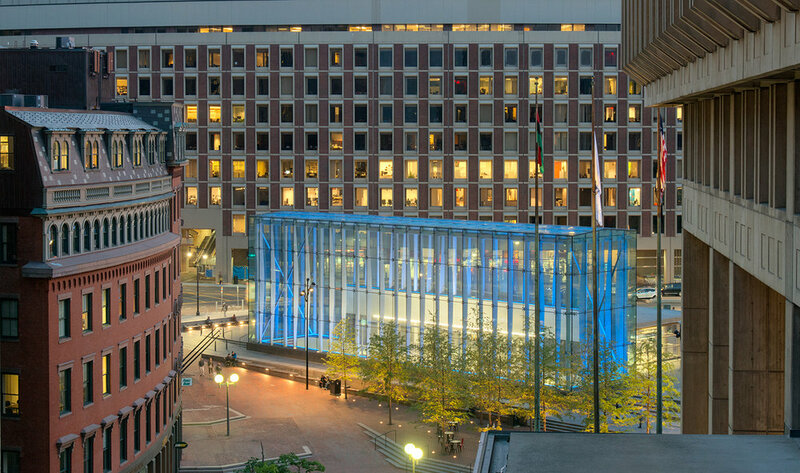 I was recently hired to photograph an office building adjacent to Boston City Hall. I determined a good vantage point would be from city hall about 5-6 stories up. Arrangements were made by my client and on Thursday evening a very helpful assistant to Mayor Walsh opened up a window with a special wrench and we climbed out onto an open deck. No railings, no insurance waiver, no hassles. 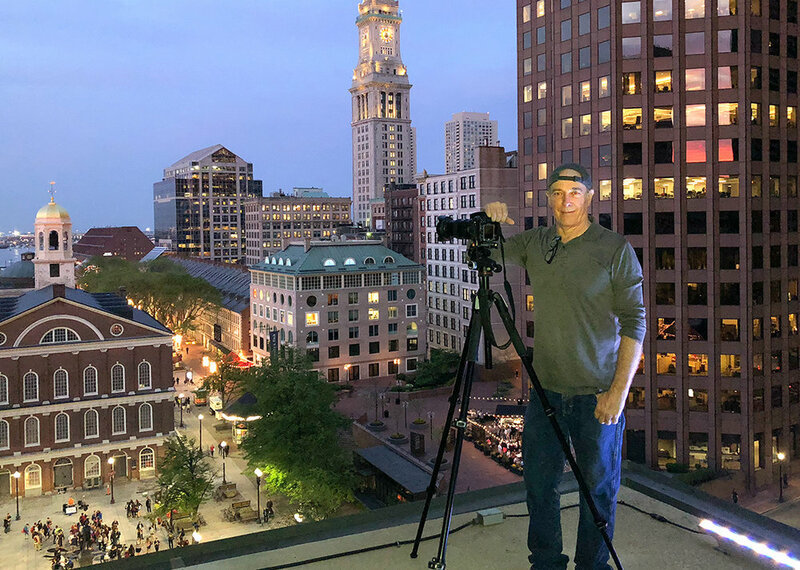 Just a great spot from which to photograph my clients building, as well as an excellent views of the Custom House & Faneuil Hall, and the new Government Center T station.